"It has nothing to do with our gender or identity — we are the best for the job." Meet V Wegman. 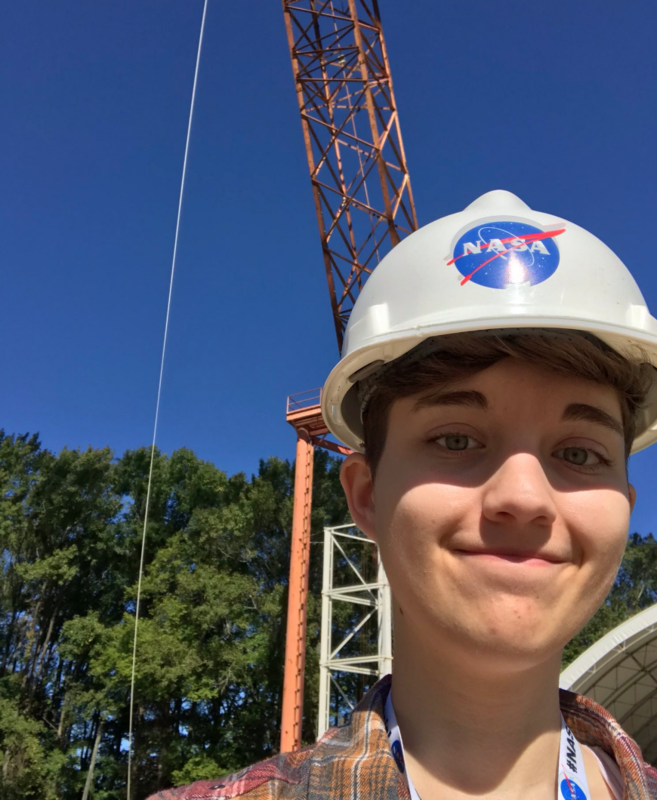 The 21-year-old, who identifies as nonbinary, recently completed an internship at NASA's Langley Research Center. On Tuesday, the Supreme Court ruled that the Trump administration's ban on most transgender people serving in the military could take effect as three cases proceed in lower courts. (Another case was left in limbo.) Wegman took to their personal Twitter to speak out against the decision. "Nothing about my identity makes me any less capable of working in the government," Wegman tweeted alongside an image of themselves in a NASA uniform. "When the trans military ban news came out, it really struck a chord with me," Wegman told BuzzFeed News. "I felt obligated. I felt scared that I was going to become even less understood or even more scrutinized as a nonbinary person using they/them pronouns." Wegman worked in the web and media development department at NASA during their internship in Hampton, Virginia, which ended last December. 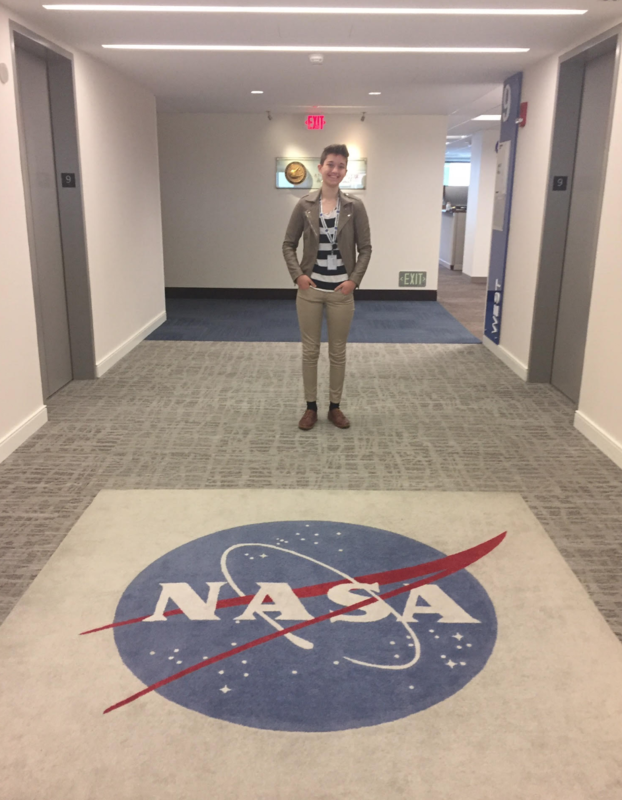 This was the second NASA internship they've completed; now, Wegman is a senior Communications major at Ohio State University. They hope to continue working with NASA after graduation this May, but the shutdown has forced them to look at other employment opportunities. "The shutdown has been really stressful," said Wegman, who says they currently unable to communicate with their mentors at NASA. The tweet quickly blew up, gathering up over 600 retweets and 26,000 likes. "I felt I could shine a light on myself and others who are already in the federal government," said Wegman. "Because we build visibility by just being there. It has nothing to do with our gender or identity — we are the best for the job." A lot of people were inspired by Wegman's message and for the courage in putting themselves out there in response to the trans military ban. The huge response online has been tough on the former NASA intern's mental health, but, they say the positive feedback has been for the most part very uplifting. "I'm learning a lot about myself in a short amount of time," said Wegman. Any criticism they've received has mostly been from individuals saying they're looking for pity or is out of place speaking about the military as a non-military person. I'm definitely not looking for pity and I never wanted to insinuate that I was military — I am not," they said. "But, to say that trans people don't have a place in the military is demeaning and false." "I felt that I needed to say something, not because I thought I would get a platform — I did not expect this response." Wegman noted this was not the first time they had posted that particular photo, or criticized the Trump administration on their personal Twitter. They added that they hope that future employers understand that their personal life and professional life are very much separate. "I don't want this to hinder my professional goals." As any person who has gone viral on the internet before has done, Wegman chose to plug something personal — their own LinkedIn account — alongside the viral Tweet. "I do want to have an impact— something of significant importance." Sarah Karlan is a deputy editor for BuzzFeed News and is based in San Francisco. Contact Sarah Karlan at sarah.karlan@buzzfeed.com.